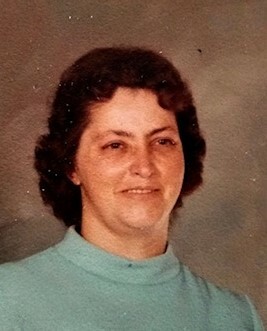 Erlene Joyce Prager passed away peacefully at her home on April 3, 2019 surrounded by many loving family members. Erlene treasured her time spent with family and was looking forward to the annual Easter egg hunt at her home again this year, but was called Home by God before the event took place. Other family favorites that were started by Erlene, and will continue to be enjoyed by her family in the future include, an annual ornament exchange near Christmas, where all the women and girls would assemble at the Girl Scout cabin at Memorial Park for an evening of good food, hot chocolate and exchange Christmas tree ornaments to follow a theme set that year. one of her “blankets”, you are encouraged to bring it to her memorial service, put it on your chair, and have it on your lap during the service. Erlene worked for the Wadsworth City Schools for 30+ years as a custodian and yes, she was the “lady that made you eat your peas” if you attended Isham Elementary in the early 1960’s or early 70’s. Family Welcomes friends for calling hours on Tuesday, April 9 from 2-4pm and 6-8pm and services on Wednesday, April 10 at 11:00am at Hilliard-Rospert Funeral Home, 174 N. Lyman St., Wadsworth, OH, 442810. Erlene was born August 18th, 1930 in Barberton, Ohio to Henry and Arminta Kramer (Snyder) and raised on the Barber Farm and her “Daddy’s” farm on Johnson Rd., south of Wadsworth. Erlene was preceded in death by her son Charles (Chuck) in 1991, her brother Clyde, sisters Freda Morrison and Elda Putt. She is survived by sons Kenny and wife Connie Prager from Ft. Worth, TX, Henry, Fred & wife Laura Prager of Barberton, Howard (Buck) Prager of Marshallville and daughter Bonnie Prager of Wadsworth. Sisters Ethel & Bill Thompson, Norma & Davis Wheeland, Gloria & Glen Sheller and Joan & Delbert LaBo. Erlen is also survived by 17 grandchildren, 42 great grandchildren and 3 great great grandchildren.